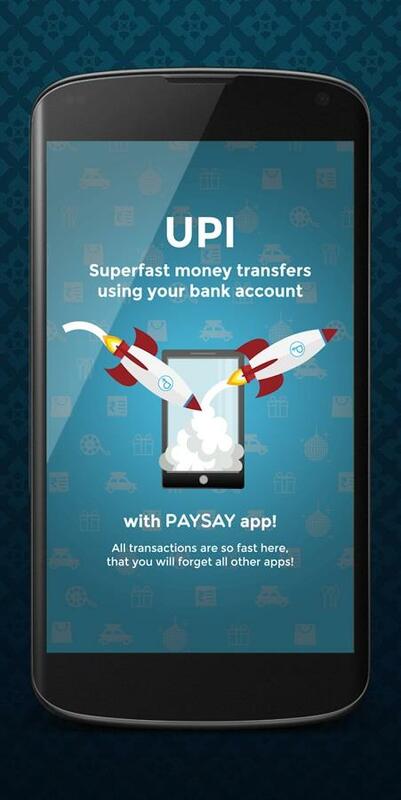 While looking for the non-bank UPI apps, an app that is on top of the search list is PaySay. I found this app as one of the most comprehensive UPI app, which promotes the idea of going cashless and at the same time maintain safety by protecting the users from getting cheated through online hacking of passwords, valuable personal information and the like. Integrating the latest bank grade security measures the app has been designed with precision and taste. Here is the list of features that you get to avail through the PaySay non-banking UPI app. Split Bills: One can Split your payments to pay off your rent, restaurant bills & other costs at your fingertips – Paysay helps you pay everyday expenses like your groceries, online shopping and more. Now there is no more a need of striking an awkward conversations regarding owing money and related stuff. There is this reminder system in the PaySay app which would send automatic reminders to those particular people who owe you money. Tracking I O Us: If you have any payment pending from your side or you simply owe money to somebody, the PaySay track IOU feature will let you know whom you owe to and also the account if any payment you are yet to receive. 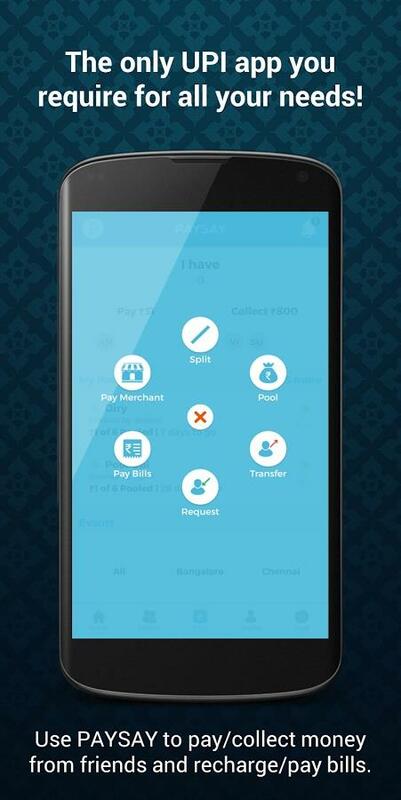 In any of these cases the users can pay each other directly through the PaySay UPI app. Managing Roomshare: Now organize any event and make sure that all your housemates pay their own share. Whether you are Splitting your hostel room rent, or sharing your Broadband and DTH bills, or just planning to chill out at the Pizza corner, you all can make it easily possible through Paysay UPI app. Staying Notified: PaySay keeps you updated through the right notifications making sure that you and your room mates are always at par with your cost sharing. Social-Commerce: PaySay enables the option for its users to create group in order to initiate pools and arrive at easy monetary settlements. It also takes care of the social-commerce activities like group gifting, traveling, raising fund for a social cause and so on. The app uses the latest bank grade security measures. The interface is neat and clean with an ease of use. The app has incorporated good enough features like, splitting bills, online bill payments, IOU reminder and in-app chatting facility. There is nothing mentioned about the facility of toggling status, or withdrawal of money deposited back to the bank account. The PaySay UPI app shows you a smooth way of making each and every online payment through its fast and responsive interface. The app gives its users enough room to participate actively in several social events with dignity. The innovative ideas of PaySay like the IOU Reminder, the in-app chatting facility and the option of splitting and paying off for bills make it an all-comprehensive app which has successfully addressed the financial issues like security, hacking personal information and the "run and chase" issue of owing money.